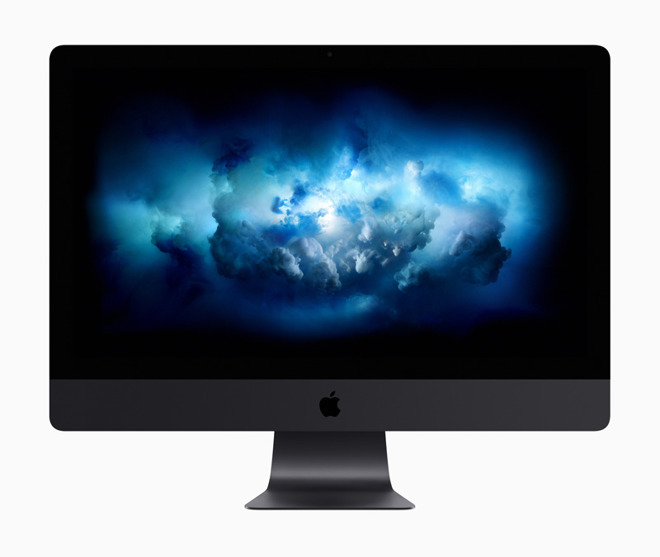 Power users wanting the fastest possible iMac Pros will have to wait until sometime in 2018, when 14- and 18-core models will ship, according to a well-known YouTube celebrity who received an early unit. Only 8- and 10- core models will be available when the computer launches on Dec. 14, Marques Brownlee said on Tuesday. Apple's website currently only lists 8-, 10-, and 18-core options, but Brownlee confirmed with AppleInsider that Apple plans to announce the 14-core option on Thursday. The iMac Pro is the first part of Apple's response to professionals complaining about a lack of high-end Macs. The $4,999 entry-level model will include an 8-core processor, 32 gigabytes of RAM, and a 1-terabyte SSD, with an 8-gigabyte AMD Radeon Pro Vega 56 GPU. Beyond faster CPUs, upgrade options will include 16-gigabyte Vega 64 GPUs, up to 128 gigabytes of RAM, and SSDs as big as 4 terabytes. Apple is also working on a new version of the Mac Pro, which should ship sometime in 2018. Little else is known about it other than it will be modular, allowing it to be user-upgraded, unlike the iMac Pro.